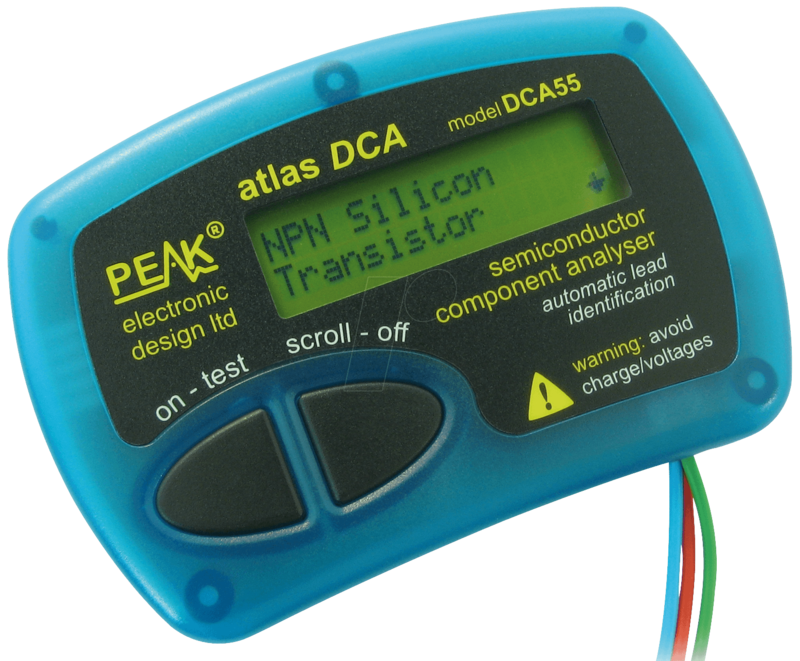 An intelligent device for testing a variety of semiconductor components. depletion-mode MOSFETs, barrier layer FETs, triacs, thyristors, LEDs, dual-colour LEDs, diodes and diode networks. • Automatic connection detection for any of the above types of components. 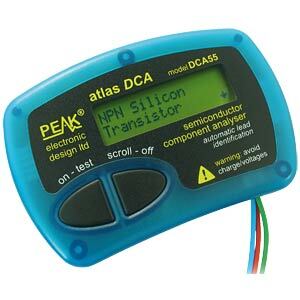 • Detection of special functions, such as protective diodes and shunt resistors. 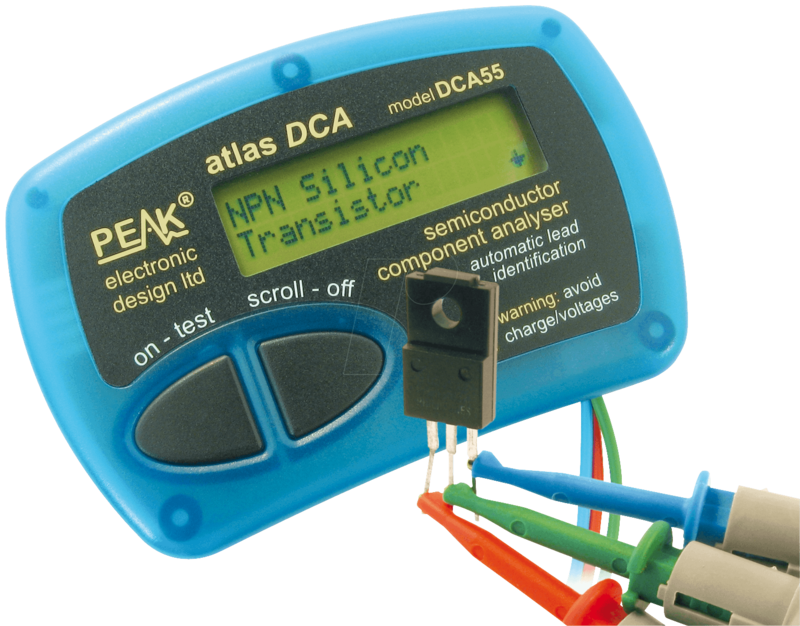 • Gain measurements for transistors. • Measurement of the gate threshold voltage for enhancement-mode MOSFETs. • Measurements of the semi-conductor forward voltage for diodes, LEDs and transistors. • Semiconductor test current measurement. • Automatic and manual switch-off.